1. After quite a dry spell these last several months we've had much anticipation, speculation and tooth wriggling drama as Annelise recently developed two, count them two, loose teeth. Bets were being placed whether the top tooth or bottom would vacate the premises first. Well, as you can see, the bottom tooth won. It took me a few days to remember to take a picture because the third tooth lost must suffer from a similar syndrome like a third child and his or her almost empty baby book. 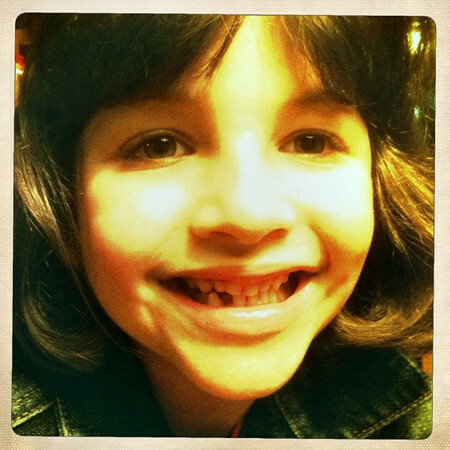 The Tooth Fairy left $3.00, which was gleefully reported to me, quite loudly, the next morning at 6:42 and I had to summon somewhat realistic excitement from my groggy depths before a sip of coffee, or even sitting up in bed. The Tooth Fairy is going to have to re-evaluate his or her rationale pronto because trying to match the number of tooth lost with the corresponding dollar amount is not at all a frugal trend to establish. 2. Our resident elves finally managed to start the whole decking of the halls thing, in small bursts, throughout the week. Our elves obviously belong to a strict elf union that requires plenty of coffee breaks and rest time in between projects. 3. Our main elf, the one recovering from all the neck pain, has made the wise decision not to put lights on the outside of our house this year and possibly (highly likely) take umpteen steps backward in his fragile recovery process. We're all a little sad about this but realize that outdoor lights really don't matter. But don't tell Clark Griswold. Plus, maybe our electric bill will cheer us up in January. 4. 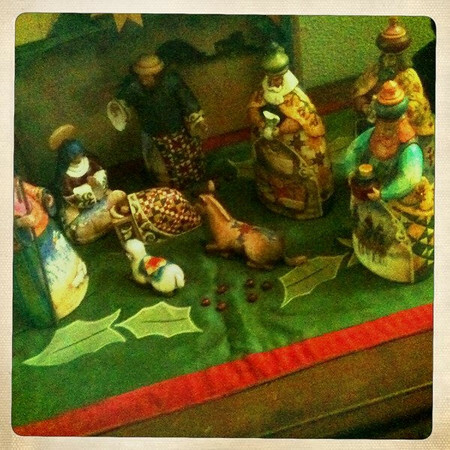 When I was a child we never had a Nativity set. I don't mean that to sound like I was deprived, but then again maybe in a way I was since we had the tree, the ornaments, the stockings and presents, visits to see Santa and The Night Before Christmas story book with cool flaps and pieces to pop-up and assemble but we kind of forgot to focus much on the whole reason for the season. You know? 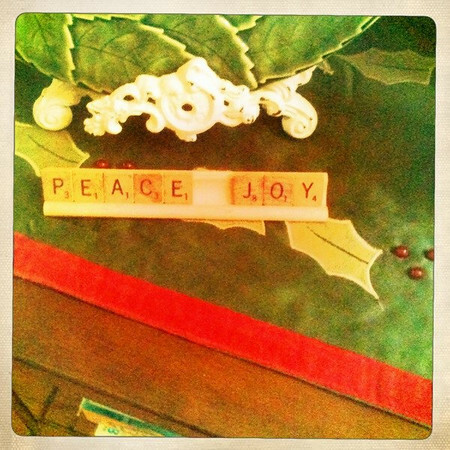 I was so happy to hear Annelise almost begging for us to hurry up and get our Nativity sets out this year. She squealed with glee when she saw the two toilet paper roll sets she made last year (one at school and one at home), claiming those along with a teeny tiny resin set for her room. Later, she got out and played with the Fisher Price nativity in the parlor and then helped arrange our Jim Shore quilty set on our foyer table. Scott said the other morning they were walking by it and Annelise grabbed the baby Jesus and gave him a smooch. Scott must have looked a bit startled because she then matter of factly told him, "What? He's my savior!" 5. I can't really put it into glowy or even adequate words, but I know our Jesse Tree devotionals are blessing our family, just four days into it. 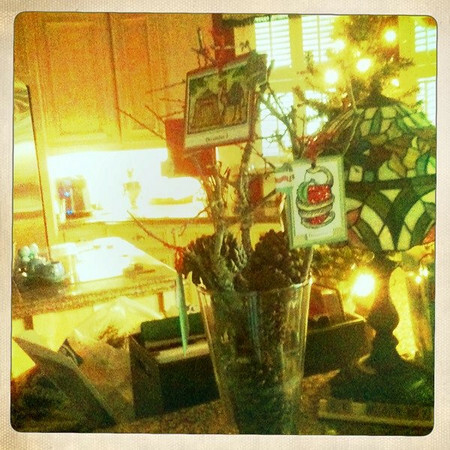 We are using Ann Voskamp's free (yes, I said FREE) download and it has been wonderful. Each day there is a portion of scripture to read about the coming of Christ, an ornament to add to our Jesse Tree and a suggestion for a simple activity to do to celebrate and share Jesus with others. You can use almost anything to make your Jesse Tree, a paper tree cut-out, ribbon, a small live tree or the totally free route of grabbing branches and pine cones from the back yard like I did. Ann's (FREE) download included pictures to cut out for the ornaments and I've just added card stock to the back and, okay, there has been some sprinkling of the glitter too. There are tons of other Jesse Tree advent resources available (from simple to super crafty where kids make the ornament completely), in case you'd like to make one too (either this year, it's only four days in you could totally still do it, or next). I'm loving how doing this, even for only a short while each day, gives our little family a break from the holiday me-me, buy-buy, more-more focus and shifts it to what truly matters. 6. But along with that we're also doing a simple stocking advent for Annelise, because I think candy and treats are fun too. She was beyond excited because I've been an advent slacker the last couple of years and she hasn't seen these little socks filled in a while. 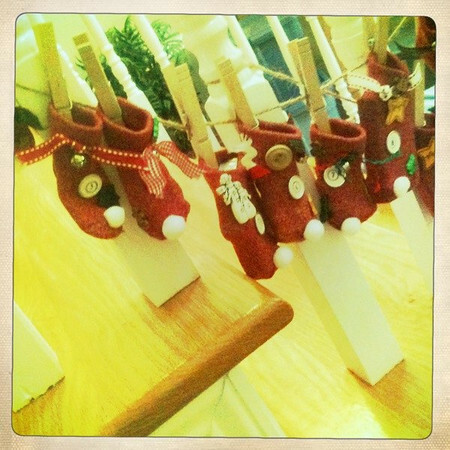 And, yes, I agree that smaller clothespins would be way cuter than these regular ones, especially since the socks are so t-tiny, but years ago when I made this I couldn't find cute little ones at the time and even though I'm pretty sure I have some in my craft stash now I can't promise I'll change them. 7. 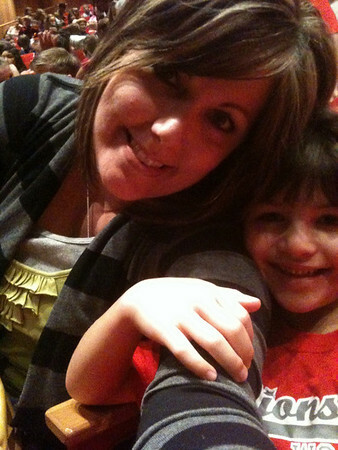 Yesterday first grade went on a little field trip to see our local production of The Nutcracker. Our school (2nd & 3rd went too) took up the first five rows, and we were on the fourth row middle so we had the best view ever, which was nice. It's been a few years since we've seen it so Annelise was, of course, quite excited and appropriately captivated. She later announced her favorite part was when they were fighting the rat king and thought the more dance-y flounce-y parts were just okay. 7a. We are also getting a little crafty around here. 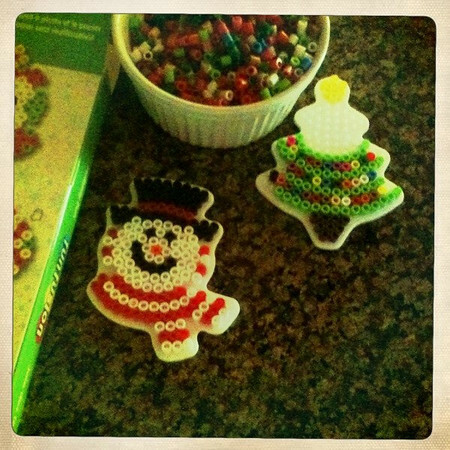 This might be my best spontaneous purchase recently, not only because it was 50% off at Hobby Lobby but because Annelise will sit FOREVER and a day painstakingly placing these teensy tiny beads on the peg forms in order to make ornaments (after mercilessly begging me to iron them of course). There are also plans to make gumdrop trees, wreaths, cookies and there may even rumors of constructing a gingerbread house (a feat which has not been repeated since 2007). 7b. 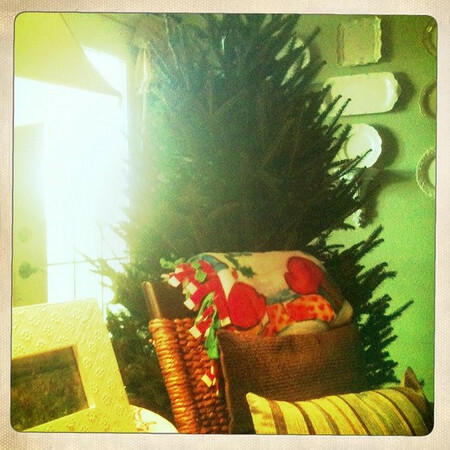 And, finally, we got our Christmas tree last night. No decorating has been done as of yet, since there is an order to these things and lights must first be tested, tweaked, a few strands replaced and then systematically arranged and fretted over. I'm hopeful that all of that will take place sometime today (are you reading this Scott, hmm...sweetie?) and we can decorate it tonight. Oh, and one more thing, because I just can't help myself, I realize that chair is kind of blocking the whole tree effect, I mean, c'mon, WHO puts a chair in front of a Christmas tree anyway? Well, I did. Last night, once we got the tree inside and furniture rearranged a bit to make room, I felt like the whole room was off kilter and there was a huge gaping area around the tree. Don't worry, I'm moving it as soon as I hit publish.